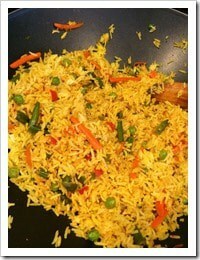 A few years ago at a Thanksgiving potluck, a colleague from work brought Vegetarian pulao. It was a huge hit with everyone and I pestered my colleague to share the recipe. He didn’t know the exact recipe since his wife had done the cooking but he shared what he knew. I used that and combined it with what my taste buds told me and recreated this simple recipe. If you don’t know how to cook and are just getting started, this recipe is for you. 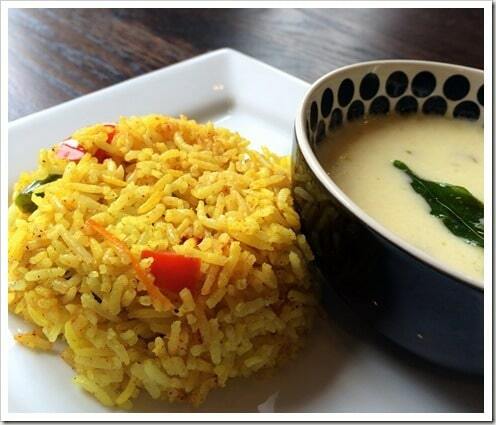 Vegetarian Pulao is a simple yet delicious rice recipe loaded with vegetables. It is so easy to make that you'll want to make it over and over again. 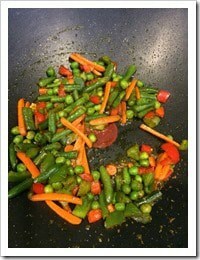 Steam the vegetables in a cup of water using a microwave for 8 minutes or until done. 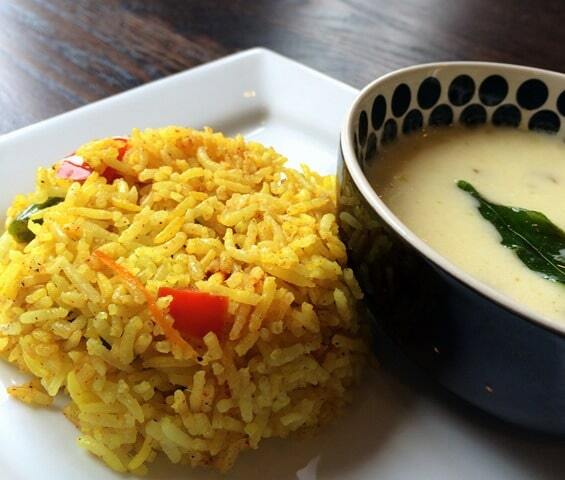 Cook rice in 2 cups of water for 16 minutes in a microwave at the highest setting. 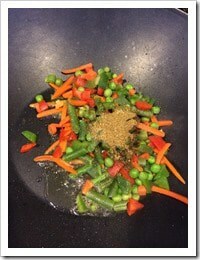 In a wok on medium heat, add oil or ghee and when hot add cumin seeds. When the cumin seeds start to crackle add raisins and cashews. Fry them for 30 seconds and then add the steamed vegetables,garam masala, cayenne pepper, turmeric powder, sugar, salt and mix them well. 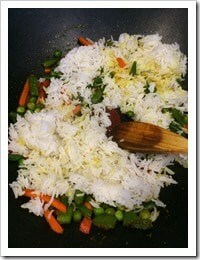 Add the cooked rice spoonfuls at a time and gently stir them in without mushing the rice. Take off heat and Serve hot. Tastes great at room temperature as well. 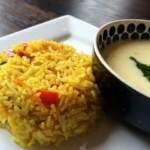 Made this pulao today for lunch and it is a bit hit! Thank you for sharing this easy and tasty recipe Anu!